I am totally one of those people who is too scared for anything Halloweeny. Is it okay if I suggest a thriller instead? Like a really tame, YA thriller? Because folks… I don’t read horror. I enjoy murder mysteries, and even those can’t get too graphic. 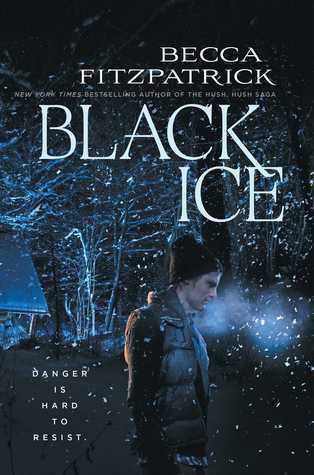 My recommendation is: Black Ice by Becca Fitzpatrick. That’s right, it’s the woman who wrote Hush, Hush. It’s about two girls who are lost in the woods, when they find two harmless looking guys in the only cabin in sight. However, warnings start to appear, and Britt soon realises she may not make it out alive. In spirit of the ten year anniversary, I will also recommend Twilight <3. Recommend some fun Halloweeny reads for me! My maximum spook level: Brooklyn Nine-Nine’s Halloween Special Spooky.